The Masters Houses are a great opportunity to look at Walter Gropius’ thoughts from outside and inside. Unlike other buildings, such as the house Auerbach, they are largely freely accessible. The first impression is nevertheless to be treated with caution. 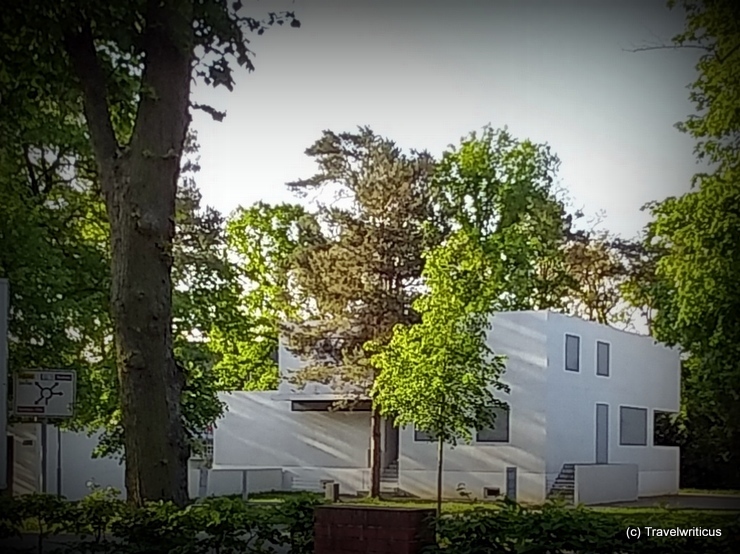 Of the original four buildings, the house of Walter Gropius and a half of the other masters’ houses were lost in the bombing of the Second World War. The destroyed parts were rebuilt in 2014 as reconstructions. These replicas are intentionally simplified and, for me, are more of a reflection than a copy of the original buildings. Nevertheless, the play of light and shadow inside these rooms makes me think about the role of light in Bauhaus architecture.